The National Indoor Arena (The NIA) is one of the busiest large scale indoor sporting and entertainment venues in Europe. Since opening in 1991, it has welcomed visitors to over 30 different sports (including indoor rowing!) and an extensive variety of entertainment and music. The NIA provides a perfect home for indoor sport at every level; its Mondo athletics track is the world’s premier surface and was first used at the European Indoor Athletics in March 2007, an event that attracted a worldwide television audience of more than 160 million. Seven world athletics records have been set at The NIA since it opened. But it’s not just about sport. The multi-purpose arena is as flexible as they come - it can stage concerts, entertainment spectaculars, business conferences and exhibitions. Welcome to the National SEA LIFE centre - a tropical paradise in the heart of the buzzing city. Take a marine voyage beneath the waves and explore over 60 spectacular displays. From the touch pool to our one million-litre ocean tunnel, you'll encounter everything from starfish to seahorses, sharks and rays. Our largest residents are two enormous giant sea turtles - Molokai and Gulliver. Regular talks and feeding demonstrations provide an even deeper insight into the magical mysteries of the seas. Remember when orange and brown interior decorating was all the rage? Remember when folks got down with the funk at discos? That’s right, it was the 70’s. But it wasn’t all bad. In 1976 The National Exhibition Centre (The NEC) opened its hallowed doors and changed the UK’s exhibition scene forever; it was a day to be remembered - The Queen even popped by. Over four million people visit the centre each year. And with 21 halls totalling 200,000sqm of exhibition space on a 650-acre site we’re also the biggest exhibition centre in the UK. As such The NEC is renowned for large-scale international trade fairs, but we also have an active interest in helping smaller specialist shows develop, providing advice, support and essential services to organisers. 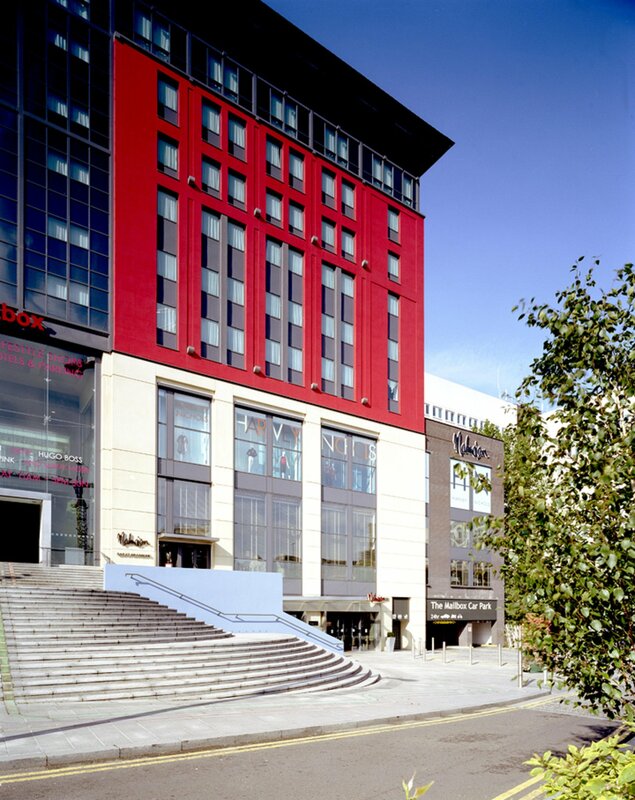 Once a Royal Mail sorting office, The Mailbox in which The Malmaison Hotel - Birmingham is housed, has always been a vibrant and buzzing place. As a sorting office, it was dedicated to making sure you get what is rightfully yours, and as a luxury hotel in Birmingham, its goal is much the same. 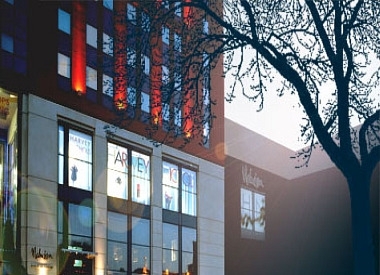 Visit our luxury hotel in Birmingham and you’ll be astonished by all that we can offer. We couldn’t be better placed for all the retail pleasures of that fantastic shopping arcade, the Mailbox, and are the perfect city centre base for those fine gentlemen, Mr Harvey Nichols, Giorgio Armani and Hugo Boss. At the hotel we put the show back into business. Hotel is the perfect venue for business meetings and conferences for up to 45 people. If you’re planning a high powered board meeting or an annual conference we have a range of professional meeting rooms to suit your needs. Hotel offers 192 comfortable rooms. 4 pm the day prior to arrival (individual bookings).